Now available from KRSS, a used fully refurbished and serviced Thermo TSQ Vantage Triple Quad with 3 months warranty and installation. 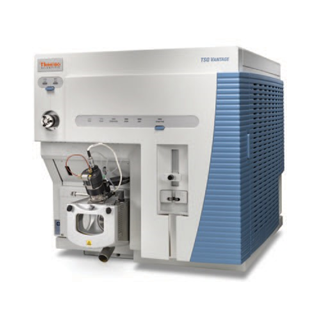 The Thermo Scientific TSQ Vantage is the top-of-the-line model of the Thermo Scientific triple stage quadrupole (TSQ) mass spectrometer product line. The TSQ Vantage™ incorporates the sensitive and rugged Thermo Scientific Ion Max source with the newly developed G2 ion optics. In conjunction with our precision hyperbolic quadrupoles, which provide the best transmission and peak shape, our detection technology and ion source results in the most sensitive triple quadrupole instrument available today. State-of-the-art electronics, comprehensive diagnostics, and easy-to-use Thermo Scientific Xcalibur software give you total instrument control at your fingertips. With these industry-leading features, the TSQ Vantage defines a new standard of excellence in bioanalytical, environmental, clinical research, and quantitative proteomic analysis. Mass assignment will be within ± 0.050 Da over a 24-hour period. The laboratory room temperature must be maintained between 15-27 °C (59-81°F). 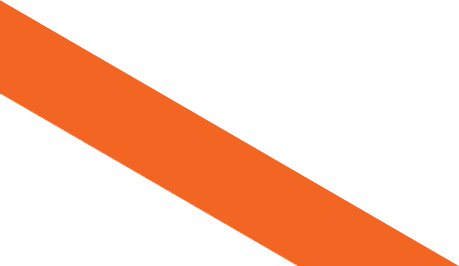 The optimum temperature of operation is between 18-21°C (65-70 °F). The room temperature may not change by more than 5 °C (9 °F) during this period. *Lower limit depends on gauge of needle used. Timed Selected Reaction Monitoring (SRM) for the most demanding bioanalyti- cal and proteomics assays. Up to 3000 SRMs definable. packed column at a flow rate of 500 μL/min 30:70:0.1 water/Acetonitrile/Formic acid will produce a minimum signal-to-noise ratio of 500:1 for the transition of the proto- nated molecule at m/z 609.3 to the frag- ment ion at m/z 195.1 when operated in selected reaction monitoring mode (SRM) with Q1 and Q3 resolution set to 0.7 Da FWHM. A 5 μL injection of a 100 fg/μL (0.3250 fmol/μL) reserpine solution on a Hypersil GOLD aQ 20 X 2.1 mm 1.9 μm particle packed column at a flow rate of 500 μL/min 30:70:0.1 water/Acetonitrile/Formic acid will produce a minimum signal-to-noise ratio of 500:1 for the transition of the proto- nated molecule at m/z 609.3 to the frag- ment ion at m/z 195.1 when operated in selected reaction monitoring mode (SRM) with Q1 resolution set to 0.2 Da FWHM and Q3 resolution set to 0.7 Da FWHM. A 5 μL injection of a 100 fg/μL (0.3250 fmol/μL) reserpine solution on a Hypersil GOLD aQ 20 X 2.1 mm 1.9 μm particle packed column at a flow rate of 500 μL/min 30:70:0.1 water/Acetonitrile/Formic acid will produce a minimum signal-to-noise ratio of 500:1 for the transition of the proto- nated molecule at m/z 609.3 to the frag- ment ion at m/z 195.1 when operated in selected reaction monitoring mode (SRM) with Q1 and Q3 resolution set to 0.7 Da FWHM.